At the National Space Club Florida Committee’s meeting this week, former NASA space shuttle pilot Tony Antonelli revealed that the concept of a ‘Mars base camp’ could be achieved as soon as 2028. As Lockheed Martin showed his intentions to send humans on a three-year trip around Mars. Because of the request from Donald Trump’s administration to NASA to assess the feasibility of sending a crew around the moon with the first flight of the Space Launch System (SLS) rocket and Orion spacecraft. May be this concept is the result of the request. Lockheed Martin first revealed they were joining the space race to Mars back in May, at the 'Humans to Mars' summit in Washington. Astronauts could perform real-time scientific exploration while orbiting the red planet, firm said. To find the best place for the humans to land they will analyze Martian rock and soil samples on the surface of the planet. 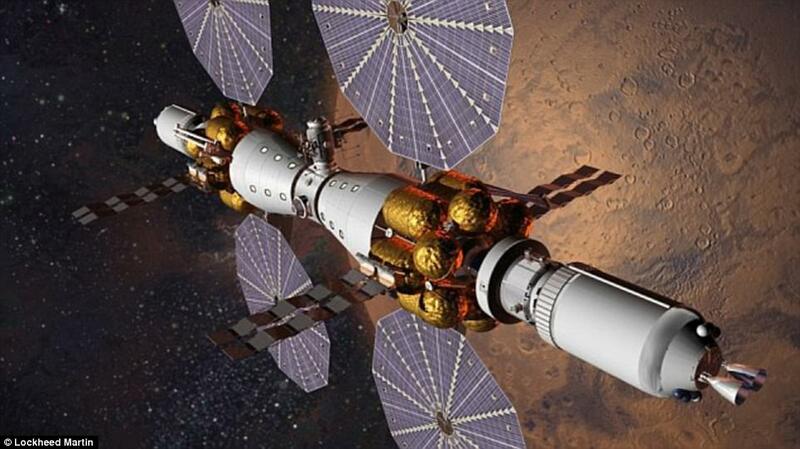 Lockheed Martin hopes to convince the space agency to make this earlier as NASA wants to get to Mars in the 2030s. The spacecraft will launch in 2018 without a crew, and this will be followed by a manned mission five years later. Lockheed Martin is working on developing the space habitats which would provide both a living space and work space for astronauts. Lockheed Martin will use Orion as the mission's command-and-control center, equipped to survive 1,000 days. China National Space Administration (CNSA) is also intensive to go to Mars. Wu Weiren, Head Designer of CNSA Lunar and Mars Mission told the BBC that CNSA's goal is to reach Mars by 2021. Meanwhile, Elon Musk, founder of SpaceX, believes it may be possible to send the first humans to Mars within the next 10 to 15 years.